Large supermarket: open 7 days a week/choose what you want/you just need cash/big range of produce all year round. 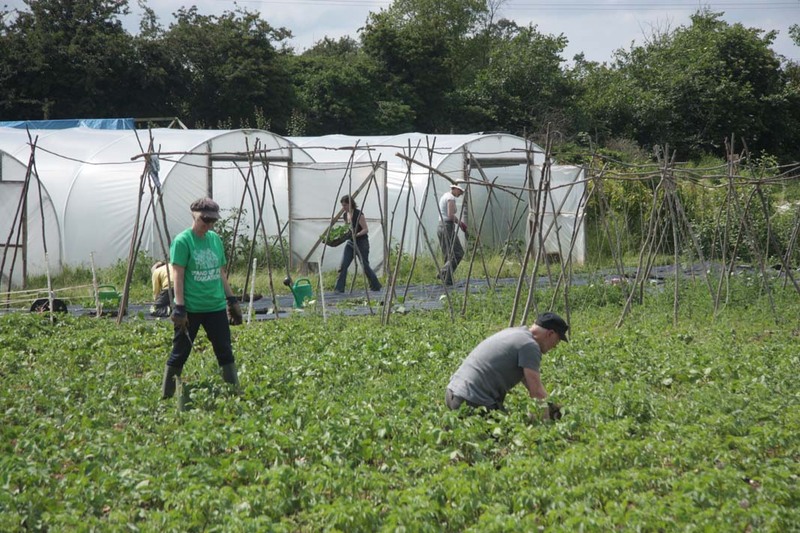 The Oak Tree: veg box harvested once a week/ultra fresh local veg/community of friendly people/commitment and work needed/only seasonal veg/parties and other social events thrown in. 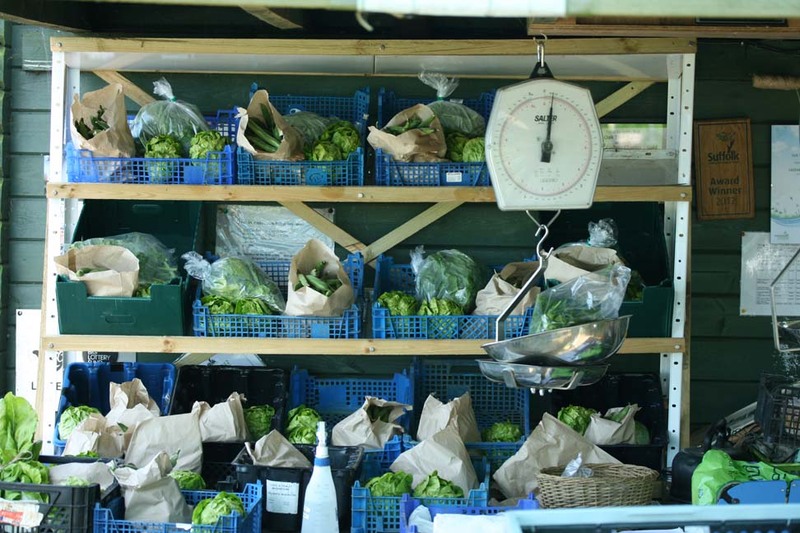 Mid-harvest at The Oak Tree – there is still much more to add to the boxes! …so it is daft, really, to compare the two. We are now in the feast of July, but curiously the discrepancy in price is similar to that in the hungry gap (link above). Just so as you know… The Oak Tree is not certified organic, and here is why from our website, “All cultivation at The Oak Tree is done without artificial fertilisers, pesticides or other chemicals, and we use only natural non-chemical pest control and fertilisers. Organic certification costs around £500 per year and imposes considerable paperwork overhead, and would sometimes mean we need to transport things further and thus increase our carbon emissions.” But I dare to say our veg is inevitably fresher (we harvest everything except possibly root crops and squash, which are absolutely fine stored, on the day on which veg boxes are made available to members. So I am going to compare with organic produce from other suppliers. Let’s go through this week’s veg share box step by step, and compare. I looked prices up online today – starting with Tescos, then scouring Riverford and Abel and Cole’s websites if Tescos didn’t offer a vegetable. Total equivalent price: £14.44 compared to our weekly price of £8. Not too bad, eh? This entry was posted in community supported agriculture, general news, local food, low carbon, supermarkets, what's in the veg box. Bookmark the permalink.